Christmas has its own unique set of staples that settle in around Walt Disney World when winter comes to town. From specialty desserts and meals, to decorations and music, nothing is spared that magical touch. Yet, some of my favorite seasonal visitors are actual visitors. Those one of a kind characters that only come out to play when the temperatures start to dip, and who have a special part to play in Christmas parades and pageantry. While they cannot all be found in this image, let’s sift through the snow to find some of our favorites! 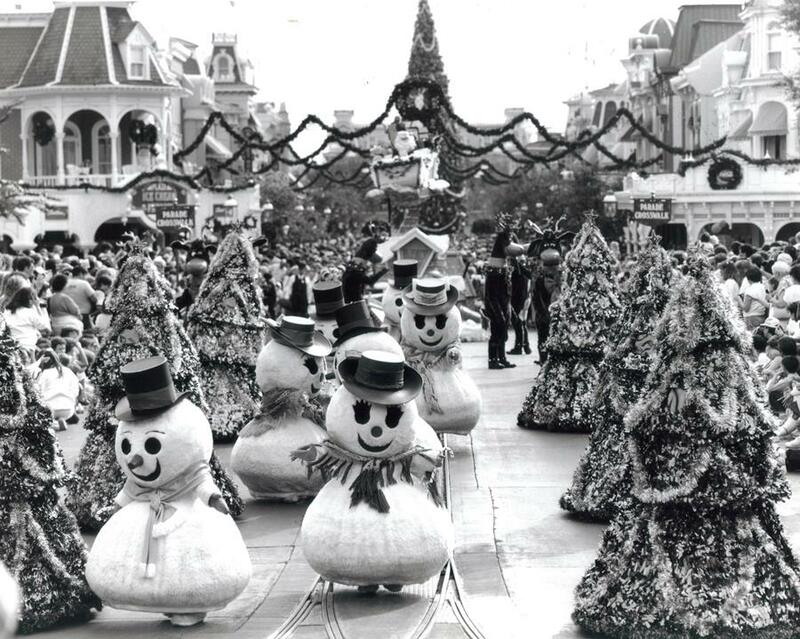 Aside from Santa Claus, the other characters you are guaranteed to find in a Christmas parade at the Magic Kingdom are snow people, reindeer, and, of course, dancing Christmas trees. What’s even greater is that in this single image you can see all of the above, up to and including Santa himself! While I am a fan of tinsel, the dancing trees just feel a bit creepy to me. The reindeer are delightful, and are at the front of the line when it comes to winter wackiness. 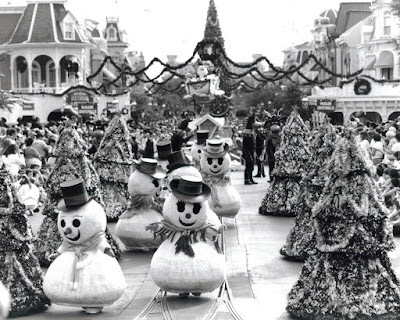 For me, however, the snowmen and snowwomen are just the epitome of the holiday. They’re charming and timeless in appearance, just like Main Street itself. And they look as if they were pulled right off of the front of a Christmas card. What wonderful about holiday parades at Walt Disney World is that everyone can take away their own special scene or character that represents the season to them. The question is, which character speaks to you? Lastly, check out the garlands with the wreaths and candles that hang across Main Street, U.S.A. They have been a part of the land’s winter decorations as far back as I can remember. However, since the inclusion of larger floats made their way to the Magic Kingdom in the Festival of Fantasy parade, the garlands have had to be adjusted. These days, the wreaths with a candle at their center have special hooks that hang them from the buildings on either side of the thoroughfare.